Product prices and availability are accurate as of 2019-04-18 10:32:13 EDT and are subject to change. Any price and availability information displayed on http://www.amazon.com/ at the time of purchase will apply to the purchase of this product. 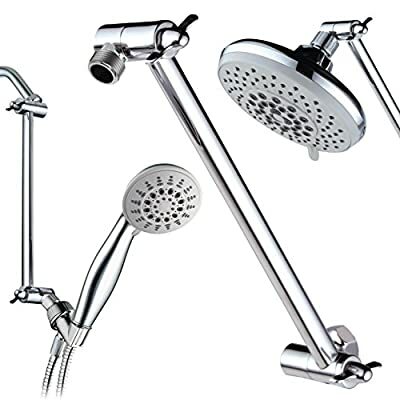 HotelSpa® 11 Inch Solid Brass Height/Angle Adjustable Extension Arm for Perfect Height, Angle and Easy Reach of Any Showerhead. 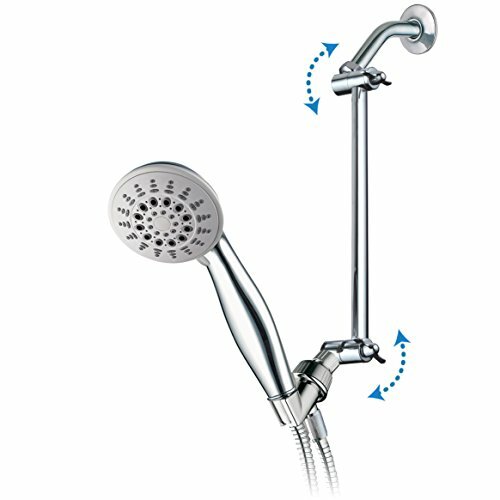 Whether you're looking for a few inches of added headroom and distance to mount a rainfall shower head without a ceiling-mount shower arm, or want to provide better experience for kids this product puts control into your hands. 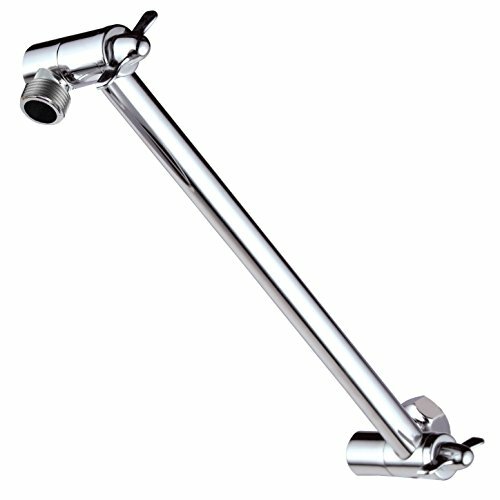 Height & Angle Adjustable Shower Arm fits ANY Shower Head or Hand Shower 2-foot Vertical Movement Range. This product only contains Extension Arm. 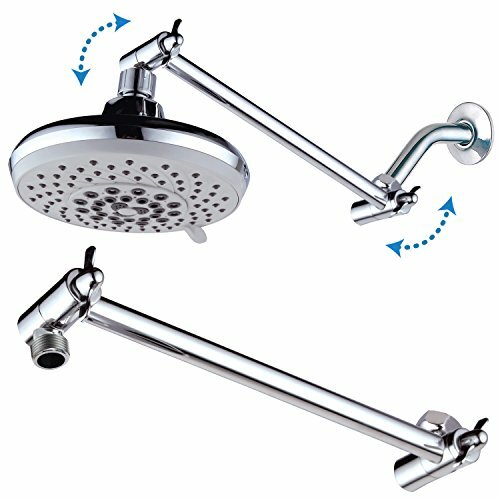 Solid brass arm with easy to tighten reliable joints to support heavier rainfall shower heads Tools-free Installation. Connects in minutes to any standard outlet, no tools required, teflon tape included 10 Years Limited Warranty is provided by Interlink Products International, Inc. This warranty is void if the product has been purchased from an unauthorized distributor.